Basically, Instagram use is very easy on mobile. You will take the photo of a moment and can air on your Instagram account in second. If you have a computer and want to use for your Instagram account, you will be carried it in every moment. It is not easy to move the computer instead of a mobile. The use of Social Media has improved drastically. Youngster uses these social tools to capture every moment of life. 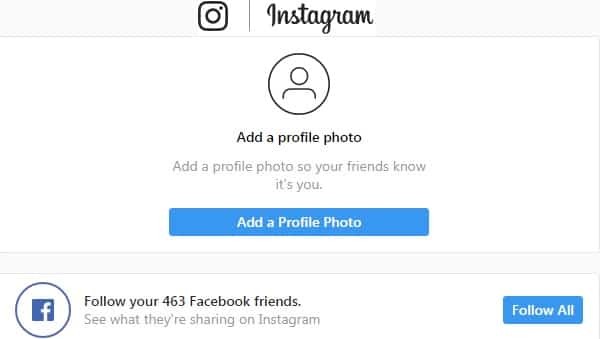 The user's count is increasing every day on social media. Companies also know the facts, so they are providing varies tools on their platform to make life easier for users. Recently Live Streaming function introduced by several media houses and that is hit among the users. They also maintain the quality of delivery to compete in the market. It is a very easy process to register your self to get access to an account for your Smartphone. First, download the Instagram app from Google play store or Insta app store as well as window phone store. After completing the installation of App in your Smartphone, Tap to open it. If you face any issue with opening the app. Then uninstall it and again install. Now you will require an E-mail account or Phone number. Fill the information in the right way and Tap the next button. They will send a confirmation code so place the code as per requirement. During the registration process through e-mail and phone number, create a username and password for you. To get this you will be filled with the relevant information in the given format. Then you press tap Done. The next option you will get the register your self through the Facebook account. You will be prompted log into your Facebook account if you currently log out from the account. 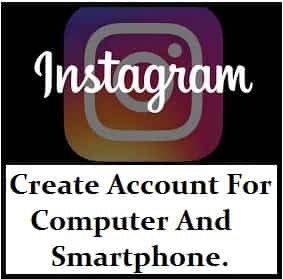 If you do not have a Smartphone, in spite of that can use the Instagram Social Media platform for yourself. Instagram provides the dashboard for this type of users. Now start to know the process of installation for your PC. Go with the Instagram.com. Enter your E-mail account to create a username and password. The second option you will get there to register your self from your Facebook Account. If you start with e-mail, first click the Sign Up option. During registration with E-mail account, careful to fill the exact email address there. Use only your e-mail address for Sing Up option. Properly log out your account, then leaving the platform of your profile. It is the very easy process of registration and runs the platform on PC and smartphone through apps. Use this application and share the content with your friends and colleagues. You can also use the Live Streaming option of Instagram to connect directly to other users. Drop your comment in the below-given box.